About four in ten people who've gone to college have taken out loans to pay for school. But some people are taking on a lot more debt than others. Women hold nearly two-thirds of all student debt in the US, according to a report from the American Association of University Women, a group that advocates for equity and education for women and girls. Part of the reason is that more women go to college. They represented 56% of students enrolled in the fall of 2016. But that doesn't explain the whole gender gap. More women take out loans, and when they do, they borrow more money. The average woman owes $2,740 more than a man upon finishing a bachelor's degree, the report said. Women are also repaying their debt more slowly, which can mean they're paying more in interest over time. Related: Does saving for college mean you'll get less financial aid? Here are some other surprising stats about student loans. We hit this milestone during the first quarter of 2018, according to Federal Reserve data. Outstanding student debt currently exceeds auto loan debt ($1.1 trillion) and credit card debt ($977 billion). 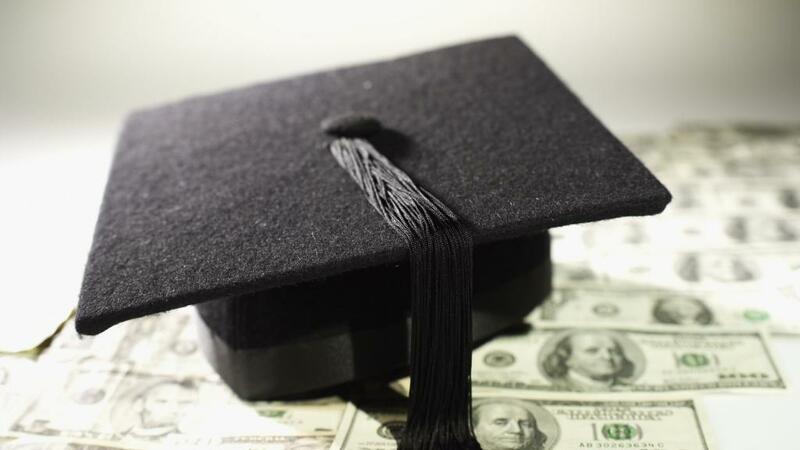 A majority of them took out student loans, but 30% had some other form of debt, like credit card debt or a home equity line of credit, according to a Federal Reserve report based on a 2017 survey. A bigger percentage of recent grads are taking on debt. But borrowing has declined since its peak during the 2010-2011 school year. Among those who finished a bachelor's degree in 2016 with debt, the average amount was $28,400, according to The College Board. That's up from $22,100 in 2001 (reported in 2016 dollars). It does not include those who went to a for-profit college. Those who never finished their degrees are more likely to have trouble keeping up with their payments, the Federal Reserve report said. Just 11% of those who completed a bachelor's degree were behind and 5% of those who had a graduate degree had fallen behind on payments.